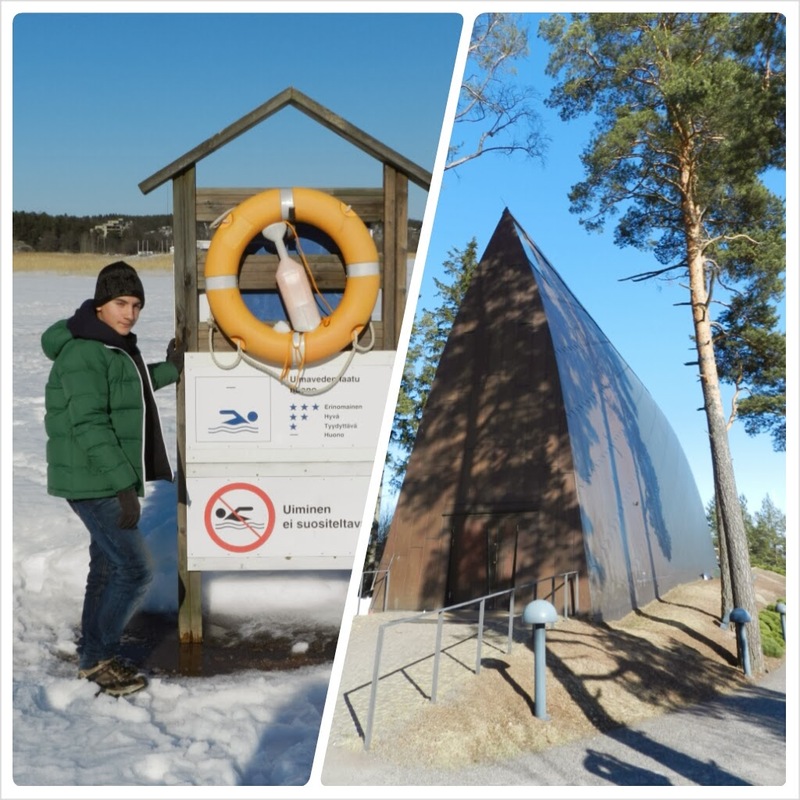 The son of our friends was spending a year in Turku, Finland, for the Erasmus project and then, taking advantage of a few days of school break, we decide to go visiting him and to spend Easter holidays there. Turku was the former capital of Finland until 1812, and it is a nice city located on the southwest coast of Finland at the mouth of the Aurajoki river. Today the city is rejuvenated by the hundreds of students who flock to its university, the oldest in the country (it was founded in 1640!). The walk along the banks of the river is one of the highlights of the city and leads to the Castle (one of the largest in Scandinavia) that was built in 1280. Here are the main restaurants and bars, but they are mainly open in the summer only. 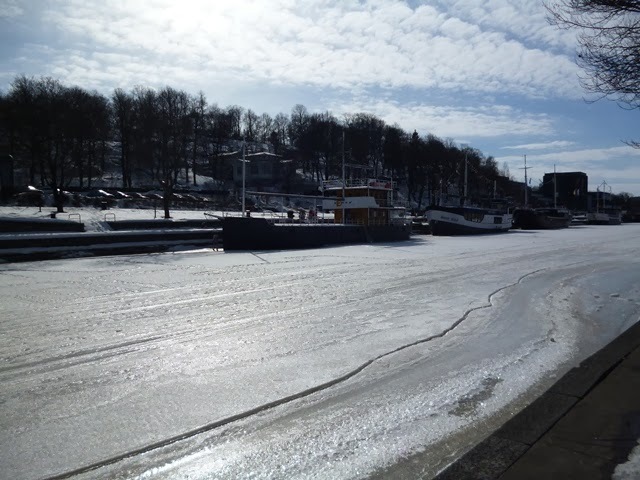 In March the river is still frozen and also the pikkufori, the small ferry that for more than 100 years passes from one bank of the river to the other, stops, waiting for warmer weather. 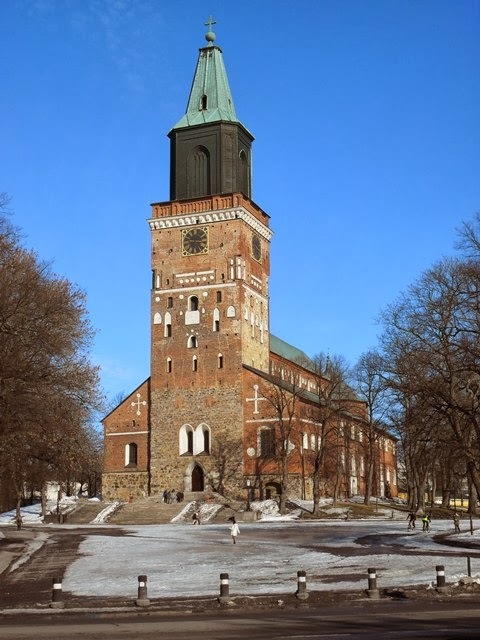 The other attraction not to be missed in Turku is the medieval gothic Cathedral, certainly the most important in Finland for the Lutheran religion. The Turku Market Hall is also very pretty; here you can find local products such as fish, reindeer meat, cheeses and an endless variety of breads. Here you can also eat at one of the characteristic food places within the market. In the finnish sea there are about 80,000 islands and many of these are part of the archipelago that protects the city of Turku. Ruissalo is one of the most beautiful islands, famous for its oak forests, the villas of the nineteenth century. the wellness center, the botanical garden, several beaches and paths for cycling. Our bus trip to Ruissalo [half hour from Turku] allows us to fully appreciate the beautiful snowy and nestled landscape in the forest. Arriving at the most popular beach on the island we are pleasantly surprised: the beach itself cannot be seen and is all in one with the sea, which is completely frozen. A sunset stroll on the frozen sea is a beautiful and very special experience. We walk insecure, as we are afraid to break the ice … and the fear increases when a ferry from Vicking Line, which cracks the icy bay passes not very far from us. Another very pretty island is Hirvensalo, famous for St.Henry’s Ecumenical Art Chapel, completed in 2005, with a architecture very special, all in wood. A long walk through the trees leads us to the sea; well, actually we see to be the sea only by the sign with lifesaver that suggests not to get wet. To conclude the afternoon with our friend, we wanted to try the famous Finnish sauna. For the Finns the sauna is something almost “divine”, and it’s part of their lives since more than 2000 years. The first saunas were smoke saunas, without the chimney and with blackened walls. Today saunas are heated with wood or electricity instead. The heat comes from a large stove, placed in the center of the room, on which you throw water. You enter and exit the sauna room several times. During breaks you can relax outdoors, you can jump in the snow or swim in the sea or in an iced lake. Of course, we got here and we can not help but feel a dip in the icy sea. 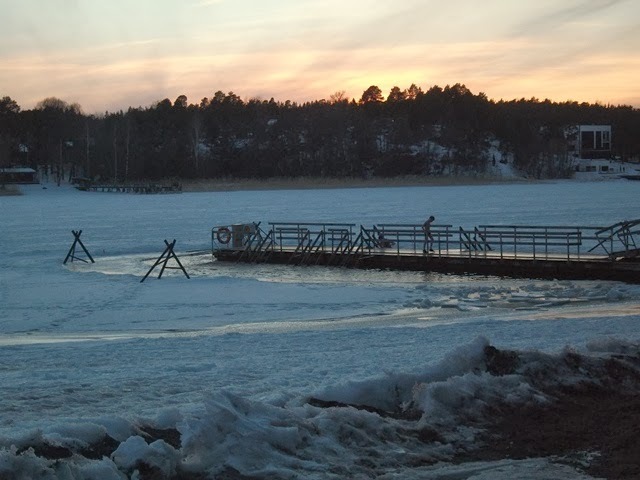 The Finnish lady who is sitting next to me in the sauna tells me that I must go down into the sea from the right side of the dock ladder and go around it and then climb the ladder on the left side. The Finns swim a few minutes, we are able to stay submerged just a few seconds … time to feel paralyzed by the cold water and run to warmig up again inside. It’s a big shock, but then you feel really refreshed and hungry! Just outside the sauna room we can not avoid to taste the delicious grilled sausages with sauces. We end the day at one of the typical Viking restaurants: one from Harald group. The place is perhaps a bit too touristy, but it’s cute and you can taste some local specialties such as reindeer meat, smoked Sami specialties, roasted or stewed filet and the bear salami. Even the beer is very good here. The price is not the cheapest (e.g. dessert is around € 9.80) but reflects the average cost of Finnish restaurants. If you want to save some money, you can eat a burger from Hesburger, the Finnish fast food chain (and the burgers here are very good!). An hour by bus from Turku, there’s Helsinki, a pleasant town, clean and quiet, where the size of a capital actually appear to be that of a big city. 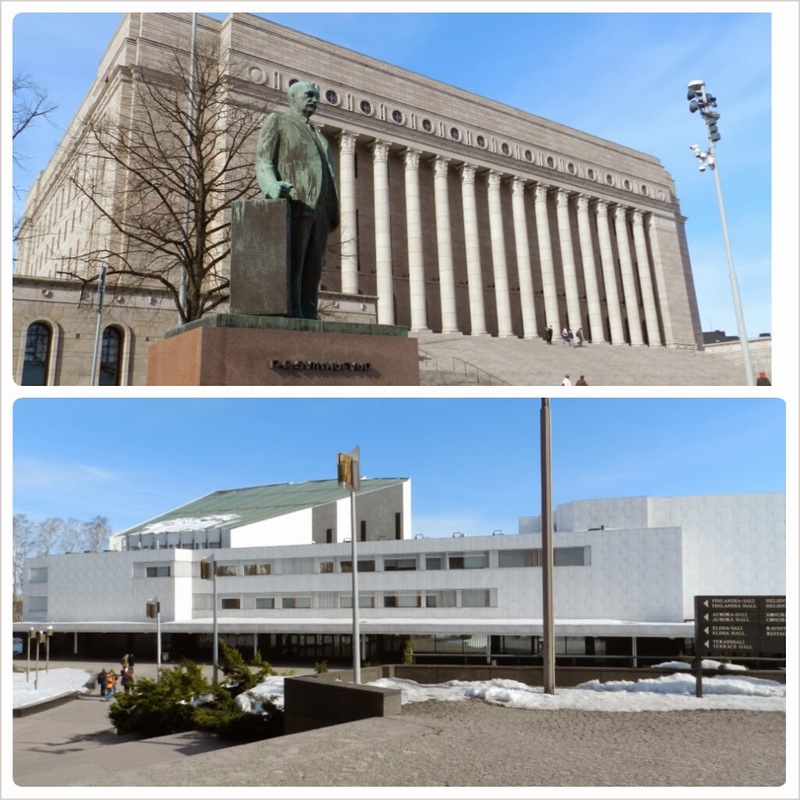 Walking a bit, you can easily visit it on foot, but if you stay for one or few days, take the opportunity to visit it with the Helsinki Visit Card to save some money and get some interesting tips. Only pay close attention to the ice during winter time; this season, ice is covering all the sidewalks of Finnish cities. Helsinki is a predominantly modern city, although there are glimpses with buildings tied to the past. 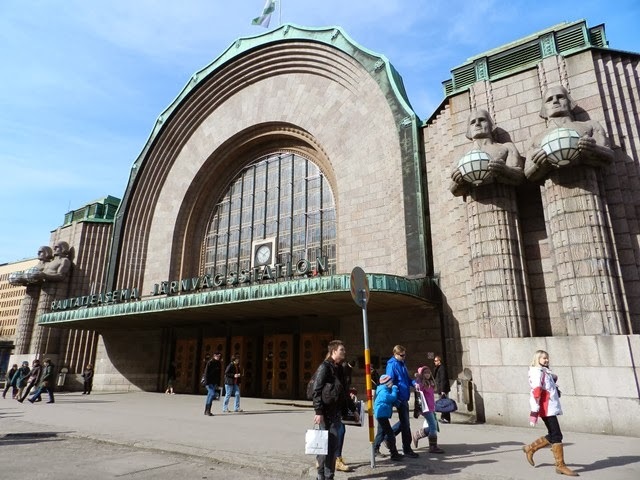 The Rautatientori is the square of the station, built in art-nouveau style and it is one of the most animated area of the city. From here you can walk through the Mannerheimintie, which heads to the north-west of the city and is the place where you can find some interesting buildings such as the Houses of Parliament, 1931, with a wide staircase, the National Museum, surrounded by greenery along the lake Toolo, white Finlandia-Talo building, the palace for concerts and congresses, one of the most prestigious works of Alvar Aalto, built in the years between 1967 and 71. At the entrance of the palace you can find the long inscription “FINLAND” where you can stop to do some souvenir photograph. 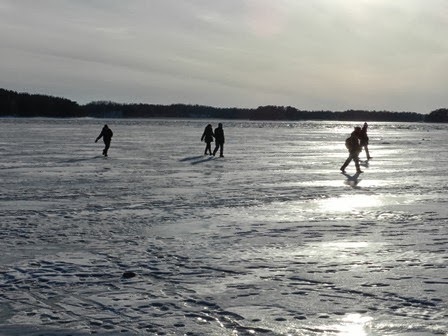 Helsinki was also Olympic City in 1952 and the Great Park Tolo still hosts the ice stadiums, swimming and soccer. The Olympic stadium is flanked by a high tower, which offers a striking view of the iced lake and the city. 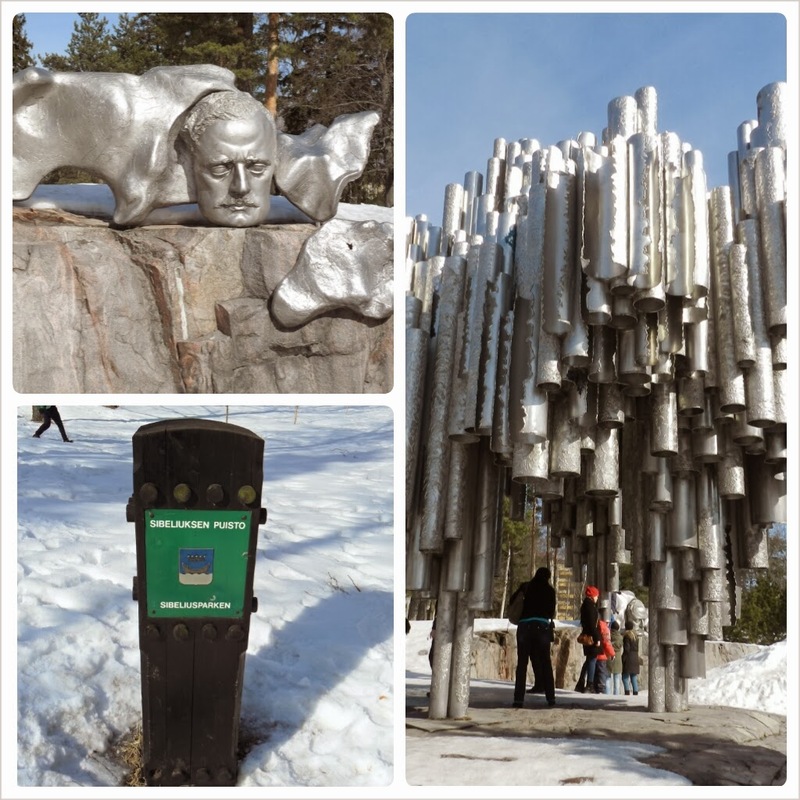 Do not miss a walk in Sibelius Park, where there is the characteristic pipes monument dedicated to the musician. 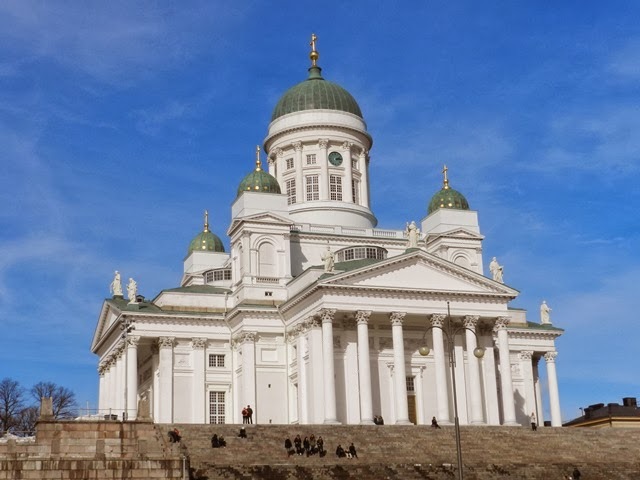 The most photographed monument of the city is perhaps the Tuomiokirkko, the Lutheran Cathedral of St. Nicholas, which stands high above the white square where the Palace of the Government Presidency and the Ministry of Foreign Affairs. 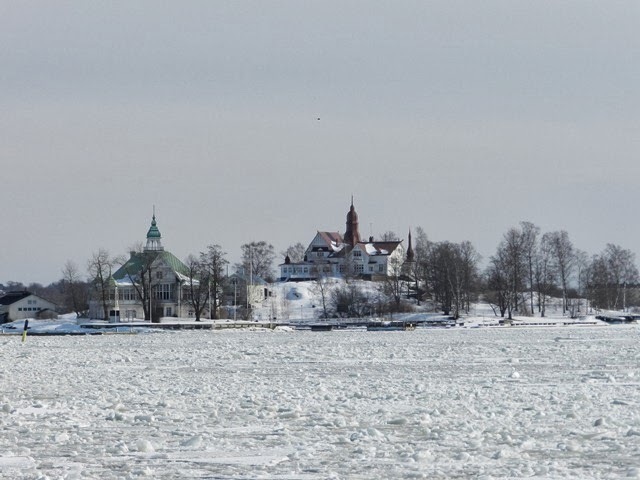 A walk along the Esplanade, the most beautiful and famous street in Helsinki, brings us to the point of departure for ferries to Suomenlinna, the fortress built on an archipelago of six islands located just across the city. 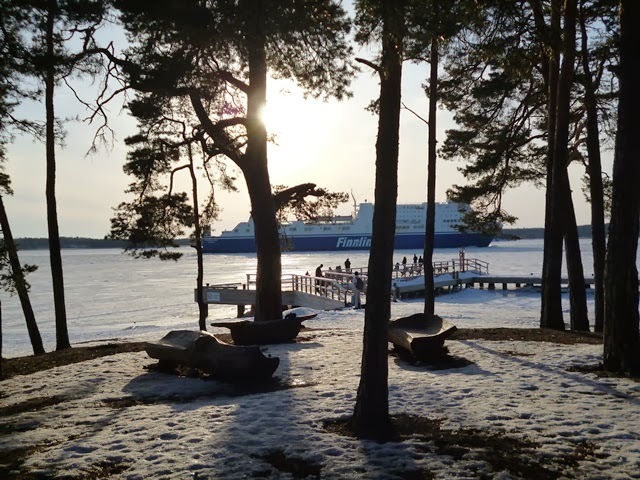 From the ship we can enjoy the show of the ice that breaks at the ferry passage and glance over the city, seen from the sea, it is really very beautiful, dominated by white Tuomiokirkko. We also try to do some photos, but the temperature is far from the spring one we are used to (we’re still at -6 °) and the cold air coming from the sea forces us inside the ferry. Suomenlinna is a fortress built beginning in 1748 by Admiral Swedish Ehrensvard, for the defense of three distinct realms: Sweden, Finland and Russia and was included in 1991 in UNESCO site as a unique example of military architecture in Europe. 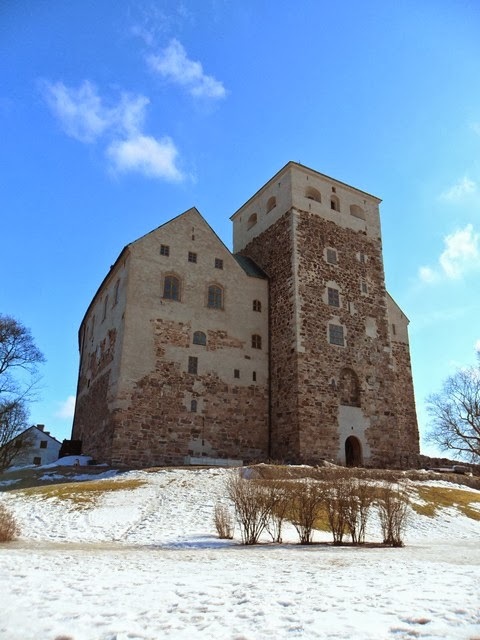 Another tour that you can organize, starting from Turku [one hour by train] is the one to Tampere, the third largest city in Finland and the largest inland city in the Nordic countries. Well known for high technology and research center also hosts many cultural events such as the Tampere Film Festival (in early March) or Tammerfest, music festival, making it a vibrant and fashionable city. 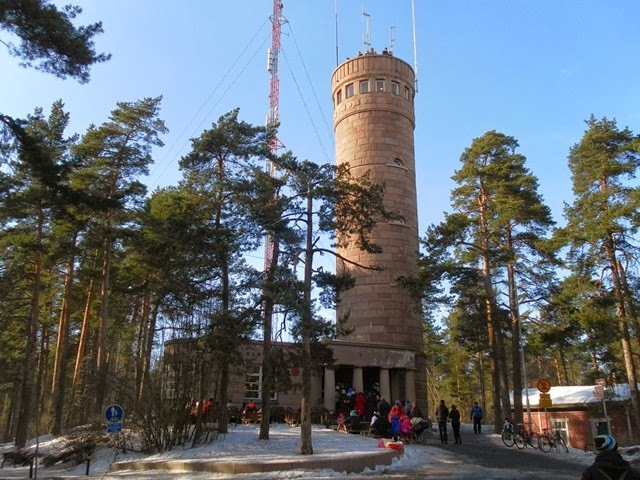 The first call from the GSM network in the world was carried out at Tampere; the research center of Nokia, in fact, is only 10 km from the city center. Tampere is located on an isthmus between lakes Näsijärvi and Pyhäjärvi. 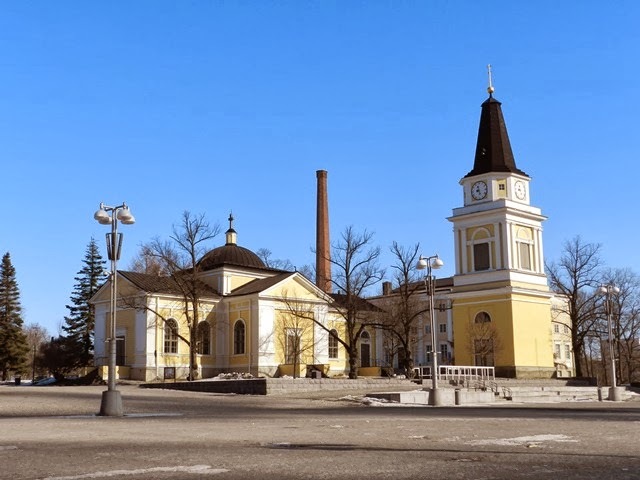 Keskustori, is the most important square, the true heart of the city, which attracts people all year roud. In the square there is the Raatihuone (City Hall 1890), the theater (1912) and the old wooden church built in 1824 (Vahna Kirkko), with the isolated bell tower and the library. In the northern districts there are two beautiful parks. The Sarkanniemi, which includes a viewing tower, a children’s zoo, an aquarium and a planetarium, and the Pyynikki. 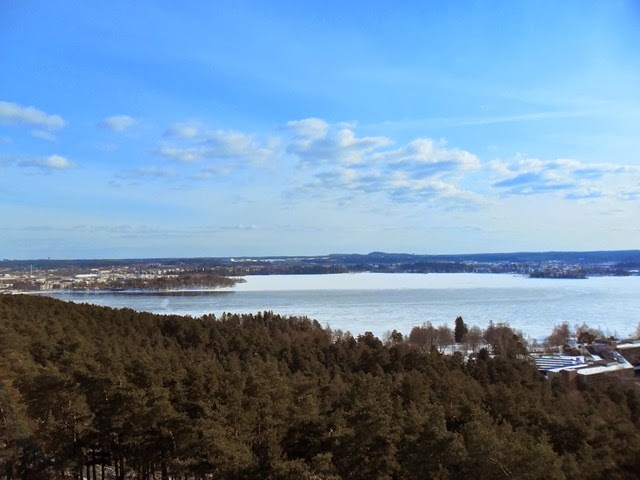 The latter is located on a nice hill and features an observation tower on which you can go up for free to enjoy the typical Finnish landscape of green forests and frozen lakes. Arriving at the tower do not be put off by the long queue: it is not for the tower, it is for the delicious donuts they sell at the little bar under the tower [in their opinion the best of Finland]. And if you are a “nostalgic” of Soviet regimes, pay a visit to the Lenin Museum: with the fall of the regime, it remained the only permanent museum of Lenin in the world.